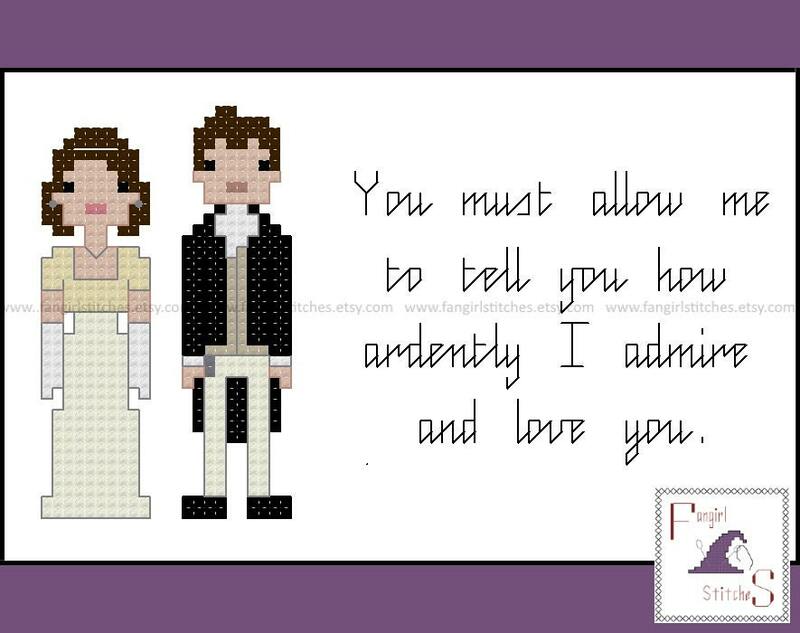 This cross stitch pattern features the main characters from Jane Austen's Pride and Prejudice, Miss Elizabeth Bennet and Mr Fitzwilliam Darcy, as well as Mr Darcy's proposal. Designed to fit a 4x6 inch frame, this piece could also be turned into a Valentines Day, engagement or anniversary card for the Austen fan in your life. Just finished this project. 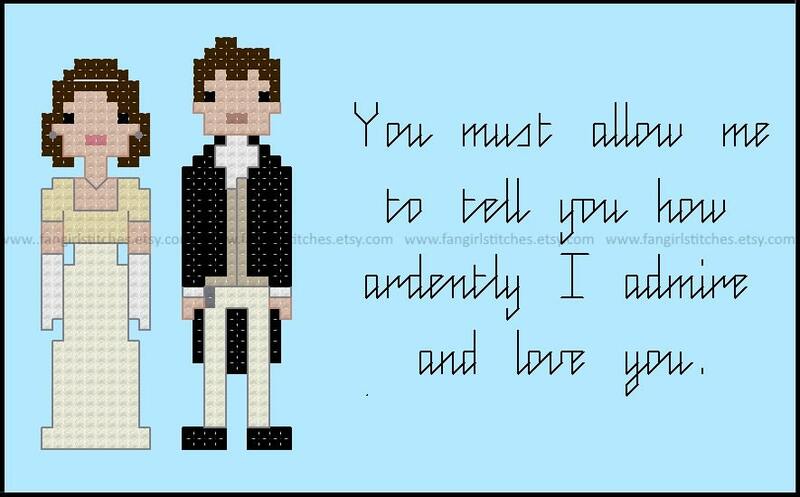 Very easy to follow the pattern, thanks!